The so-called “Yellowbird” is the car that put Ruf Automobile on the map. Built from 1987, the CTR (which stood for “Group C Turbo Ruf”) was not actually based on a Porsche Turbo, but instead the 911 Carrera 3.2 of 1987. Ruf had their way with the stock motor and by the time they were done with it, it was a twin-turbocharged 3.4-liter flat-six that was seriously underrated at 469 horsepower (it was actually likely closer to 500 or more). It was a monster supercar in its day, having a higher top speed than just about anything, topping out at a whopping 213 mph, with 60 arriving in about 3.6 seconds. It outperformed everything from Ferrari and Lamborghini upon introduction and the only thing Porsche had on it was that the 959 was quicker to 60. It’s a legendary machine that actually looks better than the 911 Turbos (930) that it sort of competed against. If you’re familiar with the Yellowbird, you’ll notice that this car doesn’t quite look right. And you’re correct. The original owner of this car ordered this CTR from Ruf and it looked like all of the other 28 Yellowbirds that Ruf built. The current owner acquired it in 1992 and wanted something that was more usable on the track. By 1995 it had the appearance it has now, with a full roll cage, an RSR-type spoiler out back, slight exterior trim changes, and racing wheels and tires. But it is still a true, factory-built Ruf CTR – one of only 29 completed. Ruf later converted another 25 Porsche 911 Carreras to CTR specification, but those cars are still titled as Porsches (as Ruf is designated as a separate manufacturer). This is the first one of these I can remember seeing for sale. They’re legendary, and rightfully so. This one is expected to bring between $560,000-$900,000. Click here for more info and here for the rest of Artcurial’s Monaco lineup. 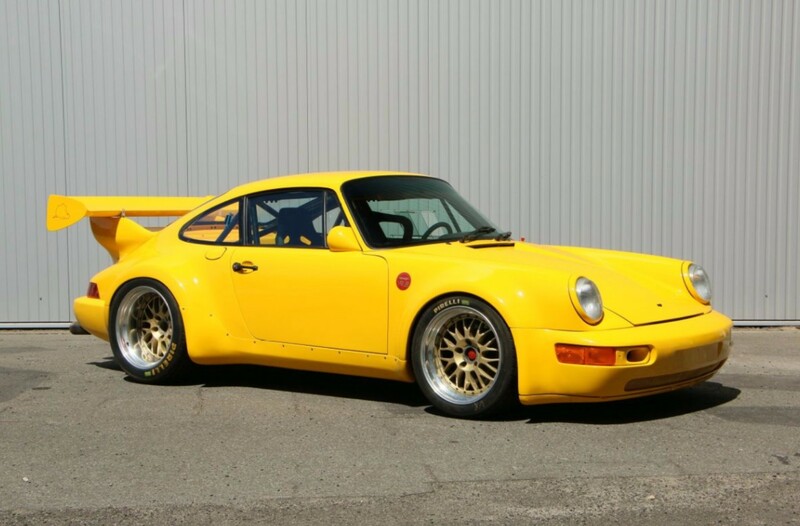 This entry was posted in Uncategorized and tagged 1989, artcurial, auctions, cars, classic cars, ctr, ruf, sports cars, supercars, yellowbird by classiccarweekly. Bookmark the permalink.